A bank is a financial intermediary that acts a fundamental institution within the world of finance. A bank accepts deposits (from business entities and individuals) and subsequently channels these deposits into various lending activities, either directly through the delivery of personal or business loans or through the capital markets. In essence, a bank connects customers with capital deficits to other participating customers with capital surpluses. Banking is a highly regulated industry; the coordinating government authorities impose varying restrictions on the financial activities instituted by banks. The definition of banking will vary based on location; countries impose differentiating legislation and restrictions on banks which will impede or encourage the bank’s fundamental objectives and lending strategies. Based on English common law, a ‘banker’ is defined as an individual who carries on the business of banking, which is a process that includes the delivery of the following functions: conducting current accounts for his or her customers, paying checks drawn on the individual’s account, and collecting checks distributed by his or her customers. In most common law jurisdictions, the banking industry is regulated by the Bills of Exchange Act. This piece of legislation universally codifies the law in relation to negotiable instruments, including the delivery and acceptance of checks; the Bills of Exchange Act contains a statutory definition of what a ‘banker’s’ role includes. The varying definitions can evaluate a ‘banker’ as a body of individuals, whether incorporated or not, who will carry on the business of banking. This definition may seem circular; however, it is actually viewed as a functional body, because it ensures the legal basis for bank transactions such as checks is not dependent on how the bank is regulated or organized. The business of banking, in the majority of English common law countries, is not specifically defined by statute, but instead by common law. That being said, statutory definition of the business of banking is delivered in other English common law jurisdictions. When evaluating these definitions it is crucial to keep in mind that they are elucidating upon the business of banking as it pertains to legislation as oppose to a general sense. In a more specific sense, the majority of definitions are derived from government policy to regulate and supervise banks rather than regulating the actual business of banking. The business of banking describes the business of receiving money on a current or deposit account, as well as paying and collecting checks drawn by or paid in by customers of the bank. Additionally, the business of banking includes making advances to customers and receiving money from the general public through deposit or savings accounts, which are repayable on demand. A banking system will act as payment agents through the conduction of checking or current accounts for customers, paying checks drawn by customers on the bank, and collecting checks which are deposited to customer checking accounts. The banking industry also enables customer payments via other payment methods, such as telegraphic transfers, EFTPOS and ATM’s. 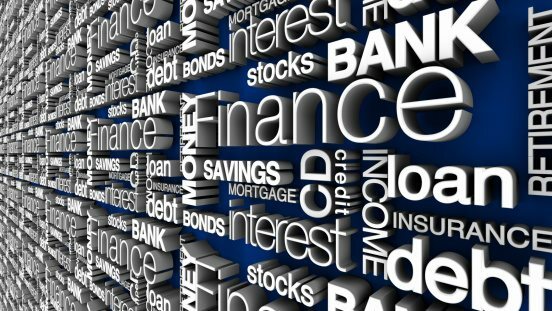 Banks will borrow money by accepting funds that are deposited on current accounts by accepting term deposits and by issuing debt securities such as bonds and banknotes.